As house values rise, more and more consumers have started asking me questions about home equity loan tax deductions. As a homeowner, you probably know that the US government encourages you to buy a house of your own by allowing you to deduce mortgage interest off of your taxes up to a certain point on purchase, refinance and home equity loan transactions. Is a Home Equity Loan Tax Deductible in 2018? In the past, this tax deduction allowed up to $100,000 per year, and generally helps homeowners to save at least a few hundred or thousands in taxes every year. The IRS limited people to the number of homes that are eligible for this tax deduction. That is, you can deduct your mortgage interest on your personal residence where you live most of the time, and one other home that might be your second home. The IRS allows you to deduct mortgage interest on a first mortgage but no longer can people deduct their home equity loan interest. Being able to do this is a major advantage of home ownership. Many homeowners cherish the ability to have their home equity loan interest be tax deductible, but that is all about to change in 2018. For decades homeowners have been cherishing the home equity loan tax deduction. Research the Limits of Writing-Off Home Equity Loan Interest. Maximize Financial Benefits of Home-Ownership with Tax Deductible Home Equity Loans. Speak with Home Equity Lenders and Financial Advisers that Understand the Current Tax Laws. When you take out a 2nd mortgage and tap your home equity, your interest payments could qualify for an additional deduction, in addition to your mortgage interest. To qualify for a home equity loan tax deduction, it only needs to have been obtained after October 1987. The home equity loan must be secured by your home. The interest on a HELOC loan was also deductible in most instances before the Congress passed the tax reform bill in December of 2017. The IRS states that for tax purposes, the balance of the loan that is the smaller of $100,000 or the amount of equity in the home will qualify for the deduction. Equity that you have is the amount you can sell the home for (current market value) minus what you owe on the mortgage. Each year, you will need to report your home equity loan interest on your IRS Tax Schedule A. You can add this interest to the other mortgage interest that you are paying. If your total itemized deductions are more than the standard deduction that the IRS gives you, you will usually save plenty of money by deducting mortgage interest. Note that the ability to deduct mortgage interest does have limits. You only take advantage of the home equity loan tax deduction on a main or a second home, and the limit each year is $100,000. Interest on a home acquisition loan as high as $1 million also may be deducted. You get a home acquisition loan to build, buy or improve a home. Make sure you follow the IRS code for Tax Deductions for interest paid on home equity loans. This means that you can deduct mortgage interest on a total of $1.1 million home loans every year. If you have another home, such as a second home or vacation home, the limit applies to the total amount of debt for both homes. If your second mortgages are above that limit, you cannot tax deduct that interest. Overall, taking out a home equity loan, if done for the right reasons, offers excellent tax advantages that can save you money every April at tax time. Keep in mind that you cannot deduct interest on personal loans or credit cards, so using your home’s equity for essential needs can be a good move that saves you long term. Low interest rate on home equity loans: If you have any credit cards, you know that credit cards have interest rate as high as 25% in some cases. This makes any large purchases on credit cards become very expensive if you do not pay them off quickly. Your home equity loan is secured by your home, meaning that you lose the home if you do not pay. So, the bank is able to lend you money at a much lower rate. Check today’s home equity credit line rates. Just remember that interest rates change daily even on home equity loans and credit lines and you must first qualify with a licensed lender. Wipe out high interest debt: If you have $20,000 in credit card debt and are paying 18% interest per year, you can pay that off with a home equity loan at a rate of possibly 5% or so. This will result in a major savings each month. Note that the money loaned is secured by the property, so you have to pay the loan or you will lose the home. Great to fund home improvements: If you want to revamp that kitchen and bathroom, you will be hard pressed to find lower interest money than an equity loan. Also, you can pay back the loan over many years, so it only will add a fairly small amount to your monthly payment in most cases. Over the years, people continue to use a HELOC because in most cases they can deduct the home equity interest. Great to pay for college education: College loans usually have a higher interest rate than home equity loans, so borrowing money from your home to pay for someone’s college education can be a good bet. This makes even more sense if the person is going into a high paying field. Not sure whether to refinance your first mortgage or to take out a new equity loan, learn more about what is a tax deduction when doing a refinance mortgage. 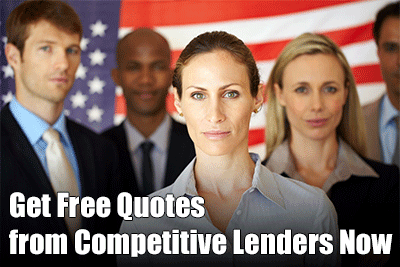 Check home equity loan opportunities from seasoned lending specialists. If you are refinancing credit card debt with a second mortgage, remember that you now are securing your debt with your home. If you don’t pay, you will lose your home and ruin your credit. Some financial advisers do not recommend paying off credit card debt with home equity for this reason: It puts your home at risk. We think there are cases where you can justify using home equity to pay off credit card debt. For example, you may have had a sudden medical expense or family emergency where you ran up $20,000 of high interest debt. If that debt was taken on for a legitimate reason and isn’t going to be repeated, using home equity may make sense. However, if you are a serial shopper and routinely run up debt to buy things you don’t really need, paying off your credit cards with home equity could be dangerous. Are you just going to run out to the mall and run up the credit cards again? Now you have a second mortgage, PLUS new credit card debt. People who use home equity in such a case are often setting them up for a big fall. Whether to use your home equity to pay off credit cards or not is a judgment call. You can save yourself a ton of interest, often 10% or more per year, plus you can write off the mortgage interest on your taxes. But people with spending problems who use home equity as a ‘way out’ often end up losing their homes in the end. So, choose wisely. Home equity loans have many financial, tax and other advantages. It is no wonder they are so popular today for people who need cash for big ticket expenses. Learning about HELOC and home equity loan tax deductions is a prudent move as it can equate to more money saved for you as a homeowner, but you have to know the facts. 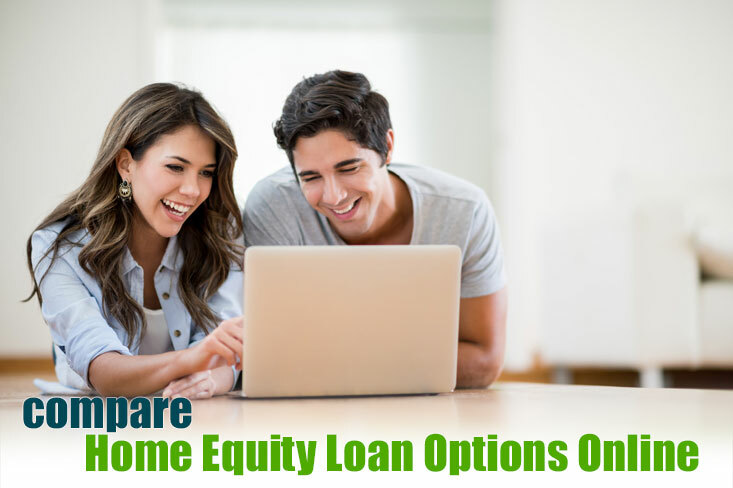 When you are looking for a home equity loan, you always will be best off if you check several sources for mortgages. Some lenders will have lower home equity rates and fees than others. Don’t assume that your first mortgage holder is going to give you a better deal. Last week, President Donald Trump signed the Republican tax reform bill into law. The new tax bill introduces several major changes to the tax code. For the first time in several decades, the interest deduction on home equity loans and HELOCs is no longer deductible. There have been many changes in regards to writing-off interest for tax purposes. People are wondering if PMI is tax deductible since the laws have changed. How the GOP tax reform bill changes the benefits of home equity loans? In the past, homeowners who borrowed against their home with a second mortgage or home equity loan were able to deduct the interest paid on the equity loan’s up to $100,000 when they filed their income taxes. Under the new tax reform bill, home equity loan interest deduction is gone. Technically, the law goes effect January 1, 2018, so 2017 will be the last year that homeowners can write off the home equity loan interest. Read more about tax laws and deductions for homeowners from the IRS.